Moscow/12 August 2011 – 16 August, the first day of the milestone 10th International Aviation and Space Salon MAKS 2011, will be marked as Russian Helicopters Day, dedicated to the Russian rotorcraft industry corporation that is a subsidiary of the United Industrial Corporation Oboronprom. 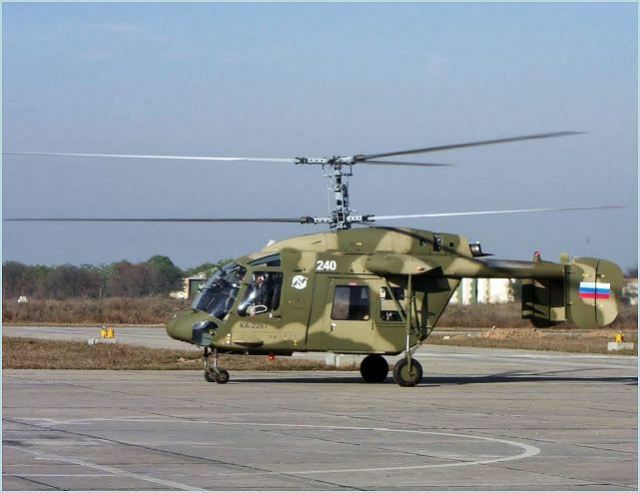 Airshow visitors will see modern light Mi-34C1, Ka-226T, and Ansat, medium Ka-32A11BC, the new modernised ultra-heavy Mi-26T2, and the attack Ka-52 Alligator, Mi-28NE Night Hunter, and other rotorcraft at the static display and in the sky above the exposition. A joint Russian Helicopters and UIC Oboronprom press-conference will be held at 11:00 a.m. in Conference Hall C3 on this day. New projects will be discussed and contracts announced. Pavilion C3 will also house business events, while the airfield will become the stage for a civil and military helicopter airshow. The new light Mi-34C1 will be the new star of the Russian Helicopters exposition. It is intended for civil and military pilot training and will make such training as efficient as possible, greatly reducing government expenses. Mass production is slotted for 2012. UTair, the largest Russian helicopter operator, may become the first customer for the machine, placing an order for 10 units of the type this spring. The new rotorcraft are intended for the oil and gas direction of UTair business. Apart from that, a number of helicopters will be used for flight training. The helicopter, created to develop medical aviation in Russia, is equipped with two Turbomeca Arrius 2G turboshafts and the Russian VR-226N reductor. This is the first time the French Arrius 2G engines were installed on a coaxial-rotor machine. The Ka-226T is a unique example of successful international cooperation, offering customers a wide variety of possibilities in terms of manoeuvrability, rate of climb, and ceiling. Such technical solutions make the Ka-226T extremely safe: it possesses up to 750 hp even with one engine out, leaving it with enough power to manoeuvre. The experimental Mi-26T2 will be among the innovations presented at the Russian Helicopters exposition. It is currently continuing test flights. The helicopter is fitted with a modern BREO-26 avionics suite designed by Ramenskoye Design Company. The glass cockpit of the Mi-26T2 is equipped with five multi-functional LCDs that can display a coloured image of external load, a new digital autopilot and a new navigation system supporting NAVSTAR/GLONASS. The helicopter is also fitted with an additional Tranzas TSL-1600 light to visually control external load at night. It is capable both of standard and IR lighting to be used in combination with night vision goggles. Apart from this, modernised D-136-2 engines are intended for this machine. They are a step forward from the D-136 in their use of FADEC, an emergency power output of 12500 hp available at temperatures up to +30º?, and takeoff power that has been increased by 250 hp at maximum takeoff mode. Qualitative changes have come about in the Russian rotorcraft industry since the participation of Russian Helicopters in MAKS 2009. The holding company has consolidated the entire industry and made a leap forward in its development. 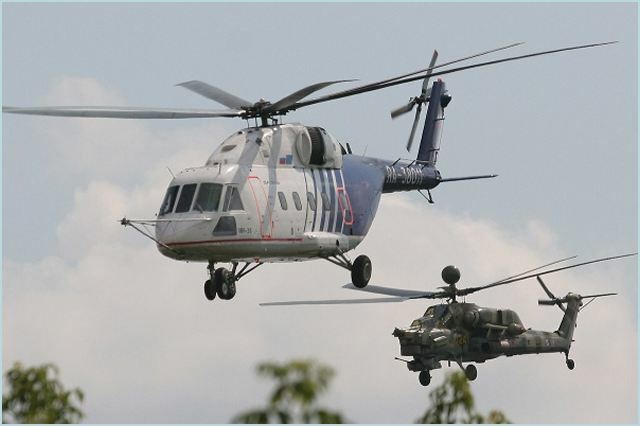 Today at MAKS 2011 the Russian helicopter industry will be represented by a sole consolidated structure. The holding company is open for cooperation with rotorcraft operators and ready to establish beneficial partnership at all stages of the helicopter lifecycle, from design to aftersale service.